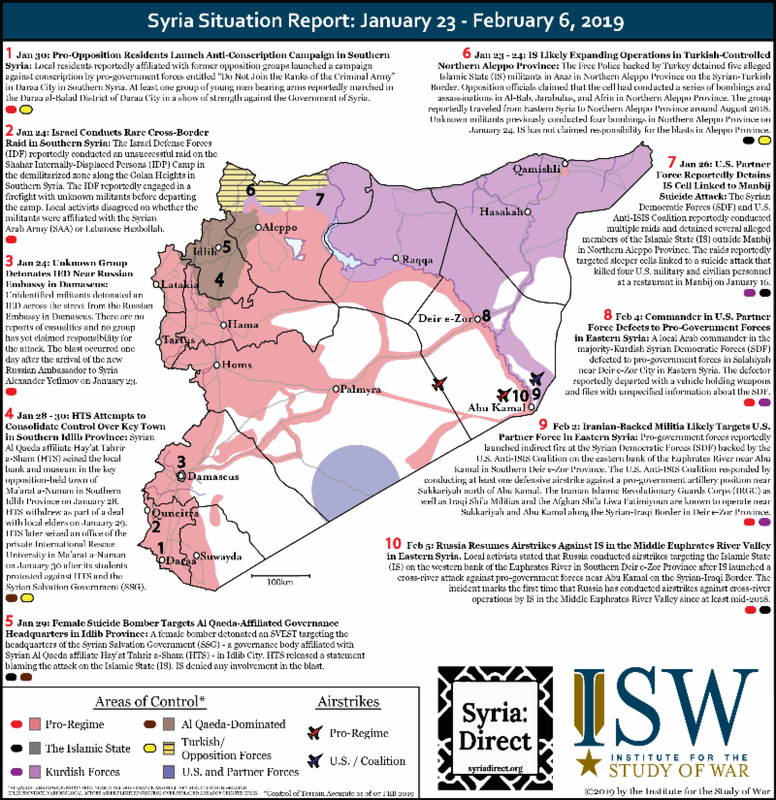 The Institute for the Study of War (ISW) and Syria Direct have released the latest installment of the Syria Situation Report Map. The map highlights significant developments in the war in Syria over the last two weeks, including al Qaeda’s further consolidation of power in northwest Syria and Iranian-backed fighters’ likely targeting of U.S. partner forces. View the enlarged version of the map here.